Harcourt Developments is behind the 119-bedroom Titanic Hotel Belfast in the former Harland & Wolff drawing offices, where the plans for the Titanic itself were dreamt up in the 1890s. It will be the eighth hotel in the multi-million pound company’s portfolio, sitting alongside a collection of properties in locations from Liverpool to the Caribbean. Harcourt – who’ve been front and centre of the Titanic Quarter regeneration over the last decade – flung open the showpiece hotel’s doors to the media ahead of letting its first overnight visitors (rooms start at £160 a night) get their heads down from September 10. A £5m renovation project has restored the historic drawing offices at Belfast shipyard where plans for the Titanic were made. The two arched rooms were at the heart of the old Harland and Wolff headquarters building. Experts predict it is unlikely the court will allow a public auction and instead the items will have to be sold to an institution. However, if they were to come to auction it is likely UK auction firm Henry Aldridge & Son in Devizes, which holds regular Titanic memorabilia auctions, would be among the auctioneers considered for the job. Premier Exhibitions, Inc. (OTCQB:PRXIQ), announced today the opening of Titanic: The Artifact Exhibition at the Guangdong Museum in Guangzhou, China. 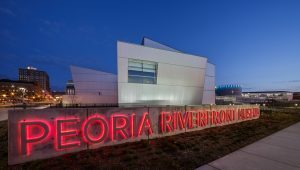 This remarkable 20,000 square foot exhibition, is one of the largest in the Company’s history, with more than 300 artifacts and brand-new room re-creations. 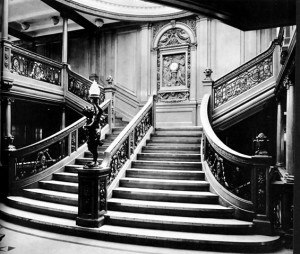 This is the first time the Company has presented Titanic: The Artifact Exhibition in a Tier 1 museum in China. The exhibition opening was made possible through the generous support, assistance and presence of the Minister of State Administration of Cultural Heritage and representatives of the Department of Culture of Guangdong Province. 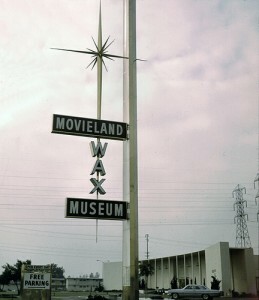 The Titanic and Bodies exhibitions at the former Movieland Wax Museum in Buena Park, California has gotten a reprieve. It was scheduled to shut down in January but the new owner is finding getting all the required approvals taking longer than anticipated. So the current owners, the City of Buena Park, contacted Premier Exhibitions and asked them to stay till 17 April 2016. This is good news for Titanic fans wanting to visit the exhibit in Buena Park and gives more time for Premier to locate a new home for the exhibits at Movieland. According to Orange County Register, the announcement that it was closing in January brought in record numbers of people. The announcement that was being extended till April has seen reservations soar and January is nearly sold out. While the rent for the facility was a bargain $1 a month, Premier had to spend thousands to upgrade and maintain the facility. When the new owners finally take over, the venue will be modeled after the Butterfly Wonderland park in Scottsdale, Arizona. Further information about purchasing tickets for Buena Park can be found at the Premier Exhibitions website. The report on the Perth Exhibition, at least according to the writer for the Daily Mail, is glowing. The exhibition does a good job of recreating what the ship looked like often with authentic memorabilia that came either from family members or floating in the ocean (this exhibition, unlike Titanic: The Artifact Exhibition by Premier Exhibitions does not have items brought up from Titanic). The exhibition features 375 artefacts , replicas of the ship’s rooms and the heartfelt stories of the passengers on board and what they felt the night the large ship sunk into the freezing cold water. 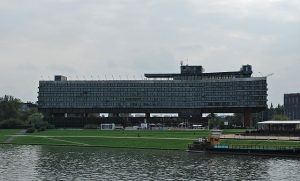 Some of the artefacts displayed in glass cases were found floating in the water after the boat sank or were hidden in the pockets of people who survived the disaster. Many others were donated by families of passengers. They range from the fine china, silverware and chairs displayed in the dining rooms to a pocket watch and clothing. The pictures in the article really show that this exhibition is worth visiting if you have the chance. While you may not want to fly all the way to Perth to see it, the exhibition is traveling so chances are it will end up somewhere where you can get to it. 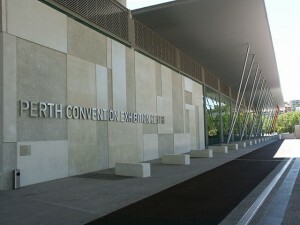 Information about the exhibition in Perth can be found at Perth Convention Center website. unsinkable but which sank after striking an iceberg on its maiden voyage. For information about hours of operation and ticket information, go to the Perth Convention Center website. The Titanic and Bodies exhibitions at the former Movieland Wax Museum in Buena Park, California is closing for good on 3 Jan 2016. The location has been sold and will host a butterfly and hummingbird atrium that will open in 2017. Meanwhile the search for a new location continues. The new location not only must have room for the exhibits but also for a gift shop. Premier is hoping to find a location in Southern California as attendance at Buena Park was one of the highest for U.S. locations. Titanic:The Artifact Exhibition opened this week at V&A Waterfront in Cape Town, South Africa. This is the first time the exhibition has been in South Africa and expectations are high that it will draw large crowds. The exhibition is open 9am to 6pm daily and will run until March 2016. To purchase tickets and further information, go to http://titanicexpo.co.za/.